Get ready for bullets, blood, and bodies hitting the ground, because international action superstar Steven Seagal is back with a vengeance! 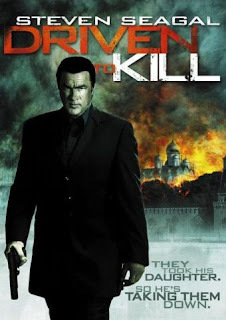 Enter the lethal world of Driven To Kill a take-no-prisoners crime saga that pits Seagal against a deadly criminal syndicate! Seagal stars as Ruslan Drachev, a highly-respected former enforcer in the New York-based Russian Mob, who long ago abandoned the gangland lifestyle to pursue a more peaceful career as a crime novelist. But his world is turned upside down when he learns that his daughter is engaged to marry a Russian gangster who also happens to be Ruslans cold-hearted nemesis from the bad old days. When a shocking act of brutality forces Ruslan to return to the sinister underbelly of his past, he must mete out his own merciless, murderous brand of justice, until no enemy is left standing!